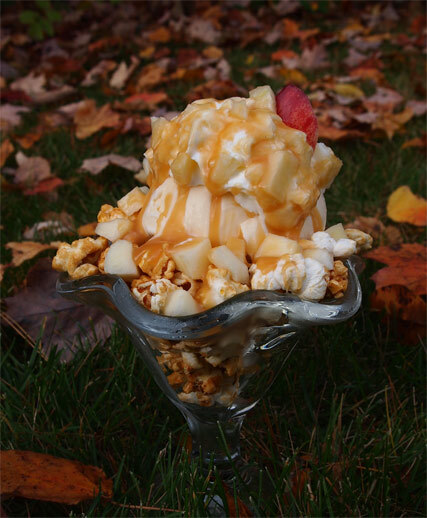 Alright, time for another sponsored Sundae Sunday, this time by our new buds at Spoonable. You may remember Junk Food Guy's review of several of their sauces at the beginning of October. Afterwards, I was joking on twitter that they lost me at spicy, and then what happens? Well, they contacted me and offered to send over their entire lineup of flavors for testing. 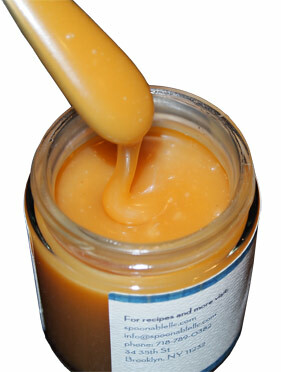 Free fancy caramel sauce samples? Yeah, I'm game, but where to start? Ahhhh, you guys know exactly where I started, don't you? 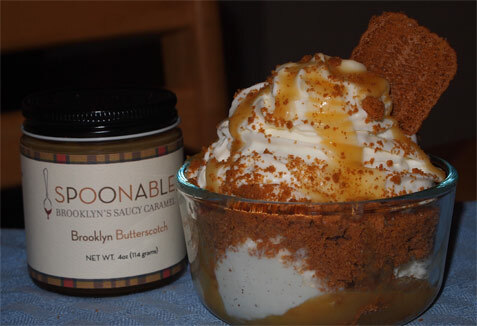 Yup, I went with the Salty Caramel and the Brooklyn Butterscotch first ofcourse!! All I can say is WOW are these excellent. JFG called it heavenly. I will not argue with his point in any way, shape, or form. Yes, it's that's good. They are just so rich and buttery. Nothing artificial or offputting here. If I was fourteen again, I would totally drink this stuff straight out of the container and pass out into the most lovely of sugar rush comas. It's a little pot of liquid gold. I love the ooey gooey texture. In fact, I actually had to adjust my pouring technique because I'm so use to store bought products that are either really thin or really thick. This is gooey but sticks together, you can try to pour it out, but it wants to really wants to stick together. My first official spoonable sundae used the salty caramel amongst other things. Something a little more reasonable with the butterscotch. 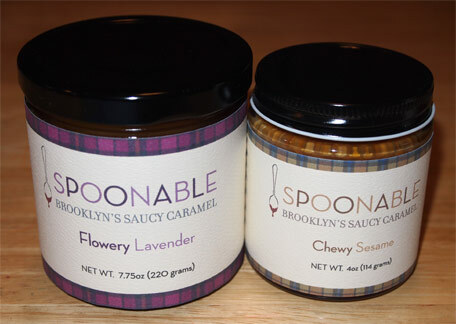 Next up is Flowery Lavender and Sesame Caramel. These are not the type of flavors I usually dig, but the first two are so good, I can't help but be excited to try these. The flowery lavender kind of smells like apricots (I do have a cold)... my wife says it reminds her of a scented candle. The aroma of the sesame reminds me of a nutty candy bar. I dig into the sesame first and it's got a mild sesame flavor but with the caramel still being the main flavor. I'm not sure offhand which flavor ice cream would go best with this one, but it's pretty cool. I'm feeling encouraged. I take a bite of the lavender and HOLY FREHOLY I was not ready for that at all! Wow, talk about something I've never experienced before. Part of me wants to say it burns, but maybe it's just so aromatic that it kind of startles your taste buds. Yeah, sorry spoonable, I won't be having anymore of that one. 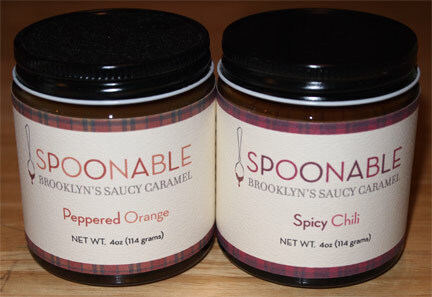 Last up is Peppered Orange and Spicy Chili... and I am afraid. Hmmm, for some reason I think I smell apricots again with the orange, and the chili, well, not sure what I smell, but it's not burning my nose, so that's good. I guess we'll start with orange because, to be honest, I think there is this rogue chance I might like it... and wow, I think I do like it! The orange and the caramel is an interesting combo with the pepper being visible but not distracting. Funky. I think I like it more than the sesame actually. 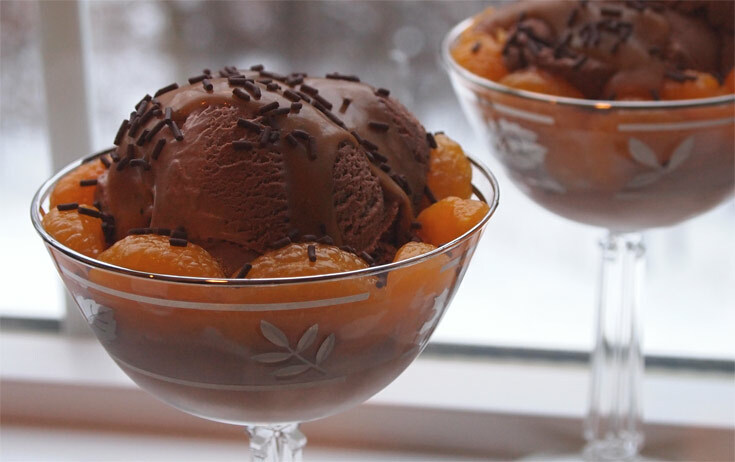 I liked it so much a made these neat breakfast sundaes you see above. It's one of those neat products that makes you feel all foo-foo and sophisticated. Very cool. Am I man enough to try the chili? Yes... but just barely. I've made it this far, and while this dark colored beast is trying to stare me down, I know I'll be ok with my trusty glass of water. Ok, bottoms up.... I'm not getting a strong flavor but... uh oh... there's the burn. Yeah, I'm good. I'll be right back, need a glass of milk. And there you have it! 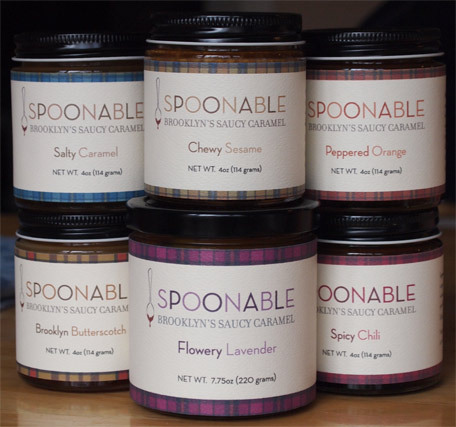 Big thanks for spoonable sending over these samples. They took a risk on my crankiness but they've definitely won me over with the quality of their work. My whole family was impressed with the sundaes I made with these sauces. Nice job! #2: all flavors are available from their online store.